There is no denying search has become integrated into the fabric of our digital society. In 1998, the year Google officially launched, internet users were only making approx. 500,000 searches per day. Now, there are more than 2.3 million Google searches per minute. With the majority of the population currently using search engines as a starting point for navigating the internet, they are a crucial link in connecting businesses and users. Without search engines we would have to know the exact URL of the website we were searching for, or follow links through various websites until the relevant information was found. The Guardian defines search engine optimisation (SEO) as “the process of improving the position that your website appears at in the “organic” search results returned by sites such as Google.. Bing or MSN.” Or alternatively, research by Susie Samuel as “the term for activities that are designed to improve a website’s position in the search results, with the aim of increasing the volume and quality of traffic (visitors) to that site.” User behaviour analytics indicates that the higher you rank on these search engines the more traffic your website will have. SEO has many benefits which directly correlate with business growth such as; assisting in building brand awareness, brand value and brand recognition which gives a higher return on investment and helps to drive business revenues. Websites that are featured higher on search engines always generate higher traffic than those that feature lower or on following pages. It also helps to generate relevant traffic which can provide businesses more insight to their customer preferences, behaviours, patterns, demographics, key word searches and so on. Extensive analytics provide quantifiable results to help track every stage of the SEO process. Results like rankings, traffic and conversion ratios helps analyse and break down digital strategies into the smallest aspect. Ecommerce sites in particular are able to track sales data such as; which website the sale as initially directed from and which keywords were used to get to the website. SEO is less expensive than traditional marketing methods such as print or media advertising as it is carried out digitally which can be done at a relatively low cost. 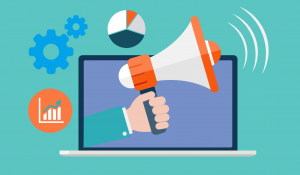 Additionally, unlike traditional marketing methods, SEO only targets those customers who are actively searching for your products or services. SEO helps to direct traffic to your businesses website, and therefore increasing your brand awareness. SEO optimized websites can also be seen to be more trustworthy as the content is viewed more regularly and is wider recognised. Although there are many benefits of leveraging SEO as a digital marketing strategy, its worth considering that it also has its limitations. Firstly, SEO only works when an internet user seeks something they already had in mind. There many marketing opportunities before “the search” which can also be used to attract potential customers. Therefore, it works best alongside other marketing strategies. Another limitation to consider is that currently, approx. 75% of the world’s internet users are opting for Google as their primary search engine. With only 25% of users opting for alternative search engines, healthy competition is limited. We may think we’re searching the internet but in reality, we’re searching Google’s interpretation of the internet. Currently over 55% of all web traffic comes from mobile devices, which is forecasted to increase in 2018. With this, google announced that ranking signals are now going to come from the mobile version of your site, not the desktop. In other words, businesses need to start prioritising mobile SEO first. Over the past few years, faster internet speeds and desire to engage with more images and videos has led to a surge in visual online content. Forbes predict that in 2018 we will see some changes to how google and other search engines recognize visual elements more accurately. Voice search will sharply increase with the rise of smart speaker sales. Smart speaker sales (such as Amazon Echo and Googlehome) grew vastly in 2017 and are predicted to grow even further in 2018. Google reports that 55% of teens and 40% of adults now use voice search everyday. As these models areactivated by voice, and search is not carried out visually, business may need to drastically change the way they think about SEO. Business Insider. (2016). Here’s a reminder of just how huge Google search truly is. [online] Available at: http://uk.businessinsider.com/google-search-engine-facts-2016-3/#first-a-trip-down-memory-lane-heres-what-googles-search-page-looked-like-back-in-1997-1 [Accessed 7 Jan. 2018]. Enge, E. (2018). Mobile vs Desktop Usage: Which Is Winning?. [online] Stone Temple. Available at: https://www.stonetemple.com/mobile-vs-desktop-usage-mobile-grows-but-desktop-still-a-big-player/ [Accessed 5 Jan. 2018]. Forbes.com. (2018). Forbes Welcome. [online] Available at: https://www.forbes.com/sites/jaysondemers/2017/12/26/7-seo-trends-that-will-dominate-2018/#3b81b3f6139e [Accessed 7 Jan. 2018]. Google.com. (2018). How Google Search Works | Search Algorithms. [online] Available at: https://www.google.com/search/howsearchworks/algorithms/ [Accessed 6 Jan. 2018]. Levy, N. (2017). Amazon leads smart speaker race with 20M devices sold, study claims, but Google is gaining ground. [online] GeekWire. 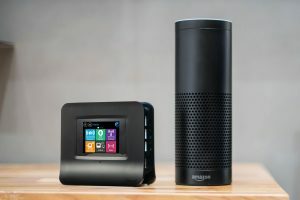 Available at: https://www.geekwire.com/2017/amazon-leads-smart-speaker-race-20m-devices-sold-study-claims-google-gaining-ground/ [Accessed 6 Jan. 2018]. Official Google Blog. (2017). OMG! Mobile voice survey reveals teens love to talk. [online] Available at: https://googleblog.blogspot.co.uk/2014/10/omg-mobile-voice-survey-reveals-teens.html [Accessed 6 Jan. 2018]. Official Google Webmaster Central Blog. (2017). Mobile-first Indexing. [online] Available at: https://webmasters.googleblog.com/2016/11/mobile-first-indexing.html [Accessed 6 Jan. 2018]. Searchenginejournal.com. (2017). Search Engine Journal. [online] Available at: https://www.searchenginejournal.com/must-know-seo-concepts/227387/ [Accessed 3 Jan. 2018]. Staff, I. (2017). Return On Investment – ROI. [online] Investopedia. Available at: https://www.investopedia.com/terms/r/returnoninvestment.asp [Accessed 7 Jan. 2018]. Staff, I. (2017). Revenue. [online] Investopedia. Available at: https://www.investopedia.com/terms/r/revenue.asp [Accessed 7 Jan. 2018]. Support.google.com. (2018). Understanding User Behavior with Google Analytics – Analytics Help. [online] Available at: https://support.google.com/analytics/answer/7126596?hl=en [Accessed 7 Jan. 2018]. The Guardian. (2015). What is SEO and how can it help my website’s Google visibility?. [online] Available at: https://www.theguardian.com/small-business-network/2014/jan/16/what-is-seo-how-website-google-visibility [Accessed 6 Jan. 2018]. YouTube. (2018). How Search Works. [online] Available at: https://www.youtube.com/watch?v=BNHR6IQJGZs [Accessed 3 Jan. 2018].